Life Fitness of Rosemont, Ill., is recalling about 11,800 PowerMill climbers. Electrical arcing can occur if liquid enters the power receptacle at the front of the climbers, resulting in sparking and smoking, posing a fire hazard. The firm has received eight reports of the PowerMill climbers smoking and sparking, resulting in fire and property damage. No injuries have been reported. This recall involves Life Fitness PowerMill climbers models PMA, PFB, PMD, PFD, PMH, and PFH. The model letters appear at the front of the serial number on the bottom right of the unit, on the inside of the “step-up” support. The climbers were manufactured and distributed from 2014 through 2018. Life Fitness is printed on the side panels of the machines. The climber machines have a moving mechanical staircase (similar to an escalator) with rotating steps between two handrails. The climbers, manufactured in Taiwan, were sold through Life Fitness direct sales representatives and fitness equipment dealers to commercial fitness facilities from July 2014, to August 2018, for between $9,000 and $12,000. 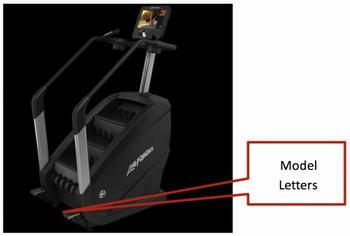 Consumers should immediately stop using the recalled PowerMill climbers and contact Life Fitness for instructions on receiving a free repair. All known purchasers are being contacted directly by the firm. Consumers may contact Life Fitness toll-free at (877) 423-3253 from 7 a.m. to 6 p.m. (CT) Monday through Friday, by email at upgradesupport@lifefitness.com or online at www.lifefitness.com and click the “Product Warranty Information” link at the bottom of the page for more information.